Guest post by Vadim Mikhailin, Department of Foreign Literature and Journalism, Saratov State University, Russia. The growing impact of Traditionalism in modern Russia is not just due to the fact that a group of Traditionalist-oriented former Soviet dissidents like Alexander Dugin and Geydar Jamal have managed to reach the prime of their intellectual and (mediated) political influence. It is also a result of the susceptibility of some strata of modern Russian political and cultural elites to elements of the Traditionalist discourse which they see as quite “natural” parts of their own Weltanschauung. The question is why so many people from very different late-Soviet milieus, from ex-KGB men to dissident activists, seem to share the same fundamental sets of attitudes: uncritical acceptance of “alternative histories,” a tendency to see “spiritual” motivations behind social processes, and appreciation of individual initiation into “hidden” knowledge. To answer this question one has to go back to the full-scale crisis of the Soviet identity in the 1960s when the failure of the last great Soviet mobilization project, “the thaw” (an attempt to reassign responsibility for the construction of the communist utopia to the level of individual choice), became obvious. Soviet intellectuals, accustomed to the comfortable regimes of self-identification offered by the Marxist harmonization of global and private horizons, developed a deep need for big explanatory constructions. And the problem was not only that the dominant late-Soviet version of Marxism appeared more and more obviously incapable of performing this function, although its failure to do this undoubtedly added to the prevailing sense of the world coming to a dead end. One of the most effective instruments in the “thaw” mobilization model was an emphasis on “sincerity,” which soon became a shibboleth for diverse phenomena, from new cinema to new kinds of microgroup identity. A competent use of this instrument supposed, among other things, the strengthening of individual motivations through more or less radical criticism of local mediating public discourses, which in itself was fatal for the highly unified system of Soviet public discourses and soon led to its general stigmatization as a kind of all-explaining blather. After the early 1960s, all and any public discourse was rather uncritically suspected of bathos, unless interiorized through some individually and situatively motivated milieu. A basic need for the legitimization of one’s own position nevertheless remained, as did a need for big explanatory paradigms. The only regime of legitimization that deserved any credit became an individual approbation by some significant self, and the only “good” regime of legitimation of any kind of harmony between global and private meanings became a personal initiation from someone believed already to have the “key.” This could be any kind of initiation ‒ professional, religious, artistic, sexual, consumerist, or counter-cultural. But since this epoch, the life of any late-Soviet person could be seen as a quest in search of a series of initiations. This does not mean that late-Soviet intellectuals were doomed to Traditionalism, but it did lead them to develop a number of common features which facilitated the reception of Traditionalist ideas and of ideas close to Traditionalism. This can be seen not only directly, in activities connected with a search for some spiritual and intellectual initiation that might add some sense to that dull and apparently doomed farce of late-Soviet civilization. We can also obtain insights into the nature of this sentiment through analysis of symbolic languages that a number of prominent figures in late Soviet culture used in their artistic practices, Andrei Tarkovsky being the most obvious figure of the kind. Tarkovsky’s major works, like Nostalghia, The passion according to Andrei and Andrei Rublev, are all based on one and the same plot, supposedly autobiographically significant: a passionate and self-sacrificing search for initiation to some Knowledge, the only true one, coming from outside the corrupt modern world, being an embodiment of Decline and Fall. And the tragic aspect of the plot is that it is impossible, or next to impossible, to find the right Master to produce the initiation: the very situation of Soviet 1960s Traditionalism-bound Soviet intellectuals, or at least of those honest enough to be aware that reading books or listening to those who read the books does not produce the Tradition. The idea of a world reaching the lowest point possible was immanent to Tarkovsky from very beginning, starting with his first full-scale film, Ivan's childhood (1962), which centered on a 12-year-old army scout whose family has been destroyed by the Germans and who lives in a dark universe of death and pain. His broken soul passes abruptly from childish reactions to the reactions of a born killer, who we see smiling only in scenes rendering his dreams about pre-war times, although these dreams also tend to finish with scenes of death or some other unsettling situation. These dreams, as well as many other scenes depicting Ivan's everyday reality, abound with water in all possible forms and aspects, later a distinctive feature of Tarkovsky’s visual language. Ivan's childhood begins and finishes with a hero touching a tree, evidently a personally significant embodiment of an axis mundi. In the very first scene we see the boy standing by a young pine tree. Then the camera goes up along the trunk and a few seconds later we see the small figure of the boy, once again, through the upper boughs. Then we see a goat, then the boy running, seeing a butterfly and smiling because he appears to be able to fly himself. He flies up to see a sea bank and a well by some trees, then we see him standing by a muddy slope penetrated by tree roots, touching the roots and smiling at a slanting sunbeam. Then he runs again to catch up with a woman, his mother, who lets him a drink from a big bucket of sparkling water. Then the woman's expression changes as if she sees something terrible ‒ and Ivan wakes up for war. In the final scene, which also repeats the stylistics of Ivan’s dreams although we already know that the boy has been executed by Germans, we pass from an apocalyptic picture of destroyed torture chambers stuffed with tree-root-like coils of wire and black-butterfly-like flying scraps of burnt paper to a happy sunlit seashore through a picture of Ivan hanged upside down like the Hanged Man, the 12th Tarot Arcana. He drinks again from the same pail which his mother then picks up and carries away to the sea. Then he plays hide and seek with a number of other children; he has his turn to seek and turns to the trunk of a great dry tree, closing his eyes. When his turn to seek comes, all the other children disappear except his little sister. On spotting her he races her, splashing in shallow sunlit waters. The last thing we see before the camera fades into darkness is his hand reaching for the great tree trunk. It is not sure that Tarkovsky then had first-hand knowledge of Guénonian symbolism of heavenly waters and an axis mundi, but it is sure that in the Soviet epoch one could rarely find a direct way to any significant information, so possible influences must be sought for in the widest possible cultural milieu that a person belonged to. Tarkovsky himself, as far as I know, never mentioned any direct debt to Guénon, although he mentioned reading Castaneda, which was the most usual way for people in his milieu to become Traditionalism-oriented. Geydar Jamal read Castaneda in those times too, according to a big interview with him on this topic in 2013, and for all his somewhat skeptical evaluation of Castaneda as a “philosopher” he was very eager to promote the idea of valuable primordial knowledge passing through people like Castaneda, even if they were somewhat 'tricky' and profit-bound. Jamal even compared Castaneda to Mme Blavatsky, whom he praised, notwithstanding her occasional hocus-pocus. We can be sure of two things. 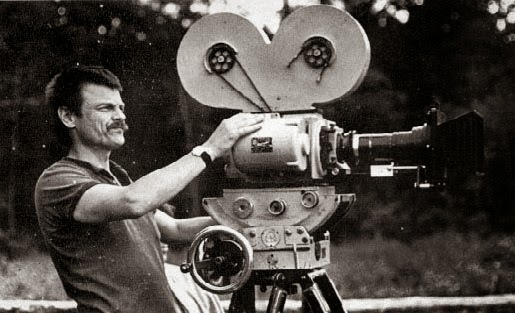 Tarkovsky was an eager insider in the Moscow Traditionalist-oriented milieu, and had a deep interest in Traditionalist subject matter and imagery as construction material for his films. This leads us to the reception of his films through a Traditionalist-oriented perspective, even if 90 per cent of his interested audience had heard nothing of Guénon, just for the sake of the feeling of taking communion in some Knowledge vaguely present. Traditionalist or Traditionalist-compatible symbolism grows in frequency and significance in Tarkovsky’s later films, thickening around the basic plot of a search for initiation, deeply felt by Tarkovsky himself. In The passion according to Andrei (1966), which is possibly the best and the best-known of Tarkovsky’s masterpieces, the historical decorations of 15th century Russia become another metaphor for feeling the time’s end, and thus background for the protagonist’s (or rather protagonists’) quest. The aim of this search is the initiation of an artist, who is seen as the bearer of some inborn knowledge (as a kind of a dim memory about a previous life after metempsychosis) about the very possibility of the Knowledge, and thus doomed to look for the way to acquire it. The signs of the presence of Knowledge multiply, through the same symbolically meaningful domains of Tree and Water, but the Answer comes as silence, throwing the hero back onto himself. Even Feofan the Greek, who seems an embodiment of an archetypical figure of a Master, mainly keeps silent or talks with Andrei about trifles, though making no secret of being close to Knowledge. The situation seems the same for a second protagonist, Boriska the bell-caster, who saves himself from starving to death by saying that he is the only survivor to know the unique secret of bell copper from his dead father, thus trying to delay his death and make it easier. The final part of another film, The Bell, tells the story of his intuitive search for the only right way possible ‒ seasoned, for sure, with trees and abundant waters that take any form possible. In the end, doing his job perfectly well, which it seems he didn't himself expect, he cries aloud to Andrei, who hugs and tries to comfort him, that “the father died and didn't tell the secret.” Initiation seems to be in process notwithstanding the loss of direct access to the knowledge in its technical aspects. One of Tarkovsky’s late films, Nostalgia, relies strongly on Tarot symbolism seemingly in the Papus version, the most popular and most easily acquired version in 1970s-80s Russia, when such books as Tarot divinatoire could be found not only in Moscow’s central Lenin's Library but in some other libraries like the State Foreign Literatures Library. The Arcana present form a basic structure for an ascending way of initiation ‒ with some omissions which absolutely correspond to the goals Tarkovsky seemed to follow, telling his usual story of an intuitive search for initiation without any guarantee of a success. A detailed analysis of the film would take too much space, but a final scene is notable, as we see Gorchakov, the protagonist, after his death following the famous passage with a candle (The Hermit) across the empty pool with a ladder resting against one of the walls (The Hanged Man through a figure at the back of Heuwagen by Hieronimus Bosch). He sits with a dog over a shallow pool of water in front of an idyllic little cottage (The Fool coming home, although not fulfilling the due spiritual transformation). When the camera draws out we see that the scene is incorporated into a ruin of a colossal Gothic temple, strongly reminding those ruins that one can meet at the paintings by Kaspar David Friedrich. The task is not fulfilled, but The Fool hits the right road and his final failure leads him to the presaged perspective ‒ that of a Great Tradition. An English translation has just been published of what may be the most important Soft Traditionalist novel ever written, Adam Buenosayres (Adán Buenosayres, 1948) by Leopoldo Marechal (1900-70). The Argentinian novelist Marechal is little known abroad, certainly in comparison to his one-time friend Jorge Luis Borges (1899-1986) or perhaps even in comparison to Ernesto Sabato, but his work is appreciated within Argentina and by critics everywhere. 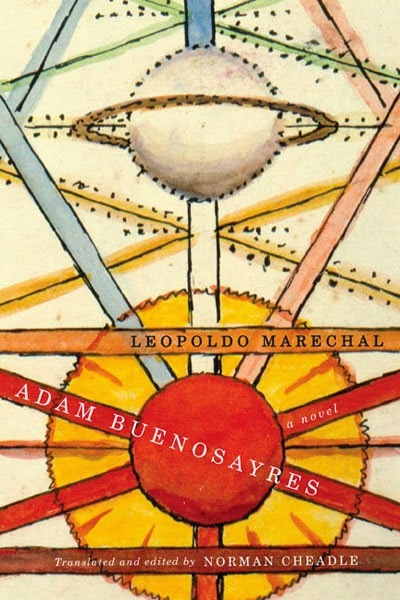 Adam Buenosayres is promoted in the blurb for its English translation as "Argentina's Ulysses" and as "one of the most outstanding anomalies of Argentinian literature," and was recently described in the literary section of La Gaceta as "a key novel of Argentinian literature." Marechal is also known for two other novels, The Banquet of the Archangel Severus (El banquete de Severo Arcángelo, 1965) and Megaphone, or War (Megafón, o la guerra, 1970), and for numerous essays and short stories. None of this is to say that Leopoldo Marechal the novelist adopts Guénon’s ideology uncritically and gives it expression in Adán Buenosayres. He borrows Guénon’s apocalyptic doctrine of metahistory and, deploying it through his characters, parodies it… giv[ing] a new set of functions to the parodied material…. Guénon’s metahistory is parodied as a way of problematizing a metadiscursive cycle (Ironic Apocalypse, p. 45). I am not sure about the metadiscursive cycle, but once again we see that true art cannot be merely didactic or purely imitative. Marechal draws inspiration from Guénon, and writes his own novels. He is a Soft Traditionalist, not a Hard Traditionalist. In his private life, Marechal was a Catholic. Politically, he was a Peronist, which is apparently what led to his break with Borges. Norman Cheadle, The Ironic Apocalypse in the Novels of Leopoldo Marechal (London: Tamesis, 2000). Graciela Coulson, Marechal: La pasión metafísica (Buenos Aires, Fernando García Cambeiro, 1974). 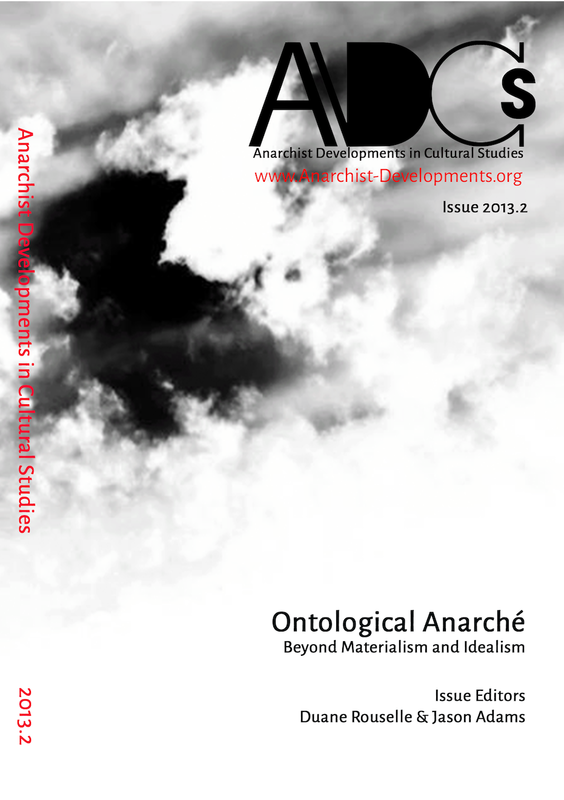 A new article by Joseph Christian Greer, "Occult Origins: Hakim Bey’s Ontological Post-Anarchism" (Anarchist Developments in Cultural Studies 2013, no. 2, pp. 166-87), examines the early development of the anarchist (or post-anarchist) thought of Hakim Bey (Peter Lamborn Wilson), who, as an earlier post noted, has origins in Traditionalism and perhaps even in the Maryamiyya. Greer sees Hakim's mature Ontological Anarchism as deriving from a mix of individualist anarchism, Daoist non-dualism, and esotericism, principally Chaos Magick with a touch of Nietzsche. Not much Traditionalism here, then, save perhaps the title “The End of the World” used in Kaos for what later became more famous as communiqué #4 in T.A.Z. : The Temporary Autonomous Zone, Ontological Anarchy, Poetic Terrorism, and no Islam beyond the legend of and Hassan-i Sabbah. But even though the link between Hakim's anarchism and Traditionalism is not Greer's subject, the article is still of interest. Greer makes the point that for Hakim and others, the experience of gnosis can reveal the "interplay of the forces that structure reality," and that this "undermines the legitimacy of all hegemons and abrogates all laws." A hint, then, of how Traditionalism and anarchism may in part be compatible.